Love – love – love this foto! Congratulations on your amazing adventures, fotos, and company your keeping! Fabulous fotos, Amy! Congratulations on your amazing adventures, fotos, company you’re keeping… and thanks for taking us along! Can’t get enough of these birds! 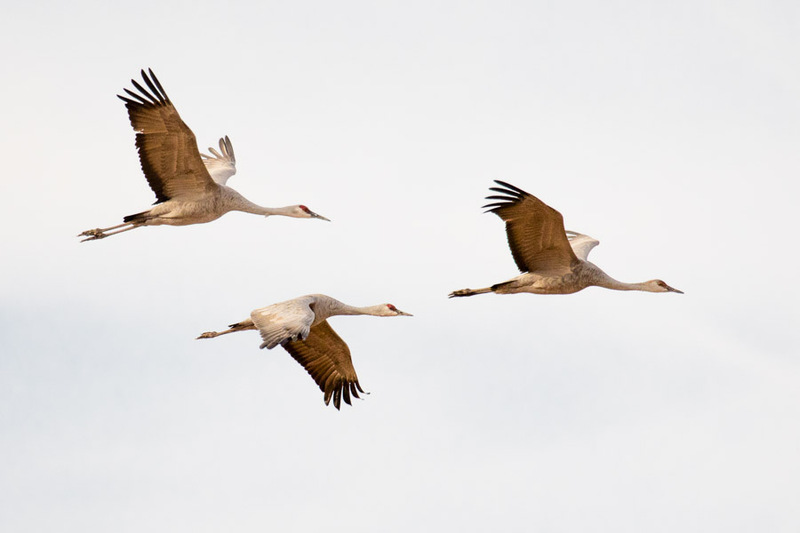 Read, “their numbers will grow to 30,000 before they migrate in the spring…live stream can be viewed at http://www.azfd.gov/sandhillcranes…Cranes usually return late morning (before noon) and remain for the rest of the day. On occasion, the birds will fly out to feed in the afternoon and return at dusk”… Did you mean southeastern Arizona, (not western Arizona), near Willcox / Whitewater Draw Wildlife Area? And, when I commented: Painted Redstart?, Cooper’s Hawk?. Pyrrhuloxia?, Black Phoebe?, it read, “comment too moderate”, (wish I would have taken a foto of that first). So happy – you’re happy, warm and well! !